If I had to pick a favourite dish at Little Thai Kitchen in Dataran Sunway, it would be the Phad Suki Hang (RM12.90) – an uncommon Thai fried noodles that comes in a soup or dry version. 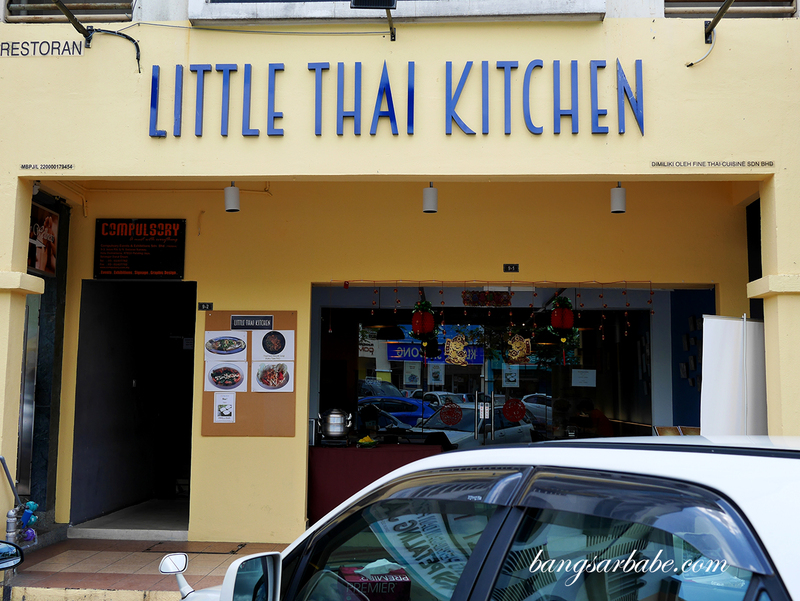 The one I tried at Little Thai Kitchen was delicious; charred bits, plenty of meat and vegetables and a strong salty-rich flavour from the fermented beancurd. 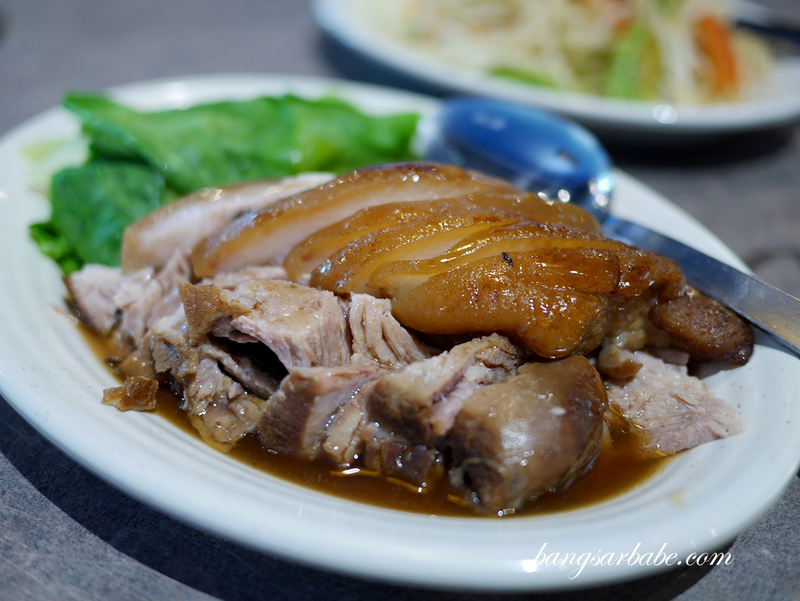 Another pick of mine here would be the Ka Moo, also known as braised pork leg (RM15.90 – small, RM25.90 – large) where the meat is stewed in gravy till tender and the skin, gelatinous. 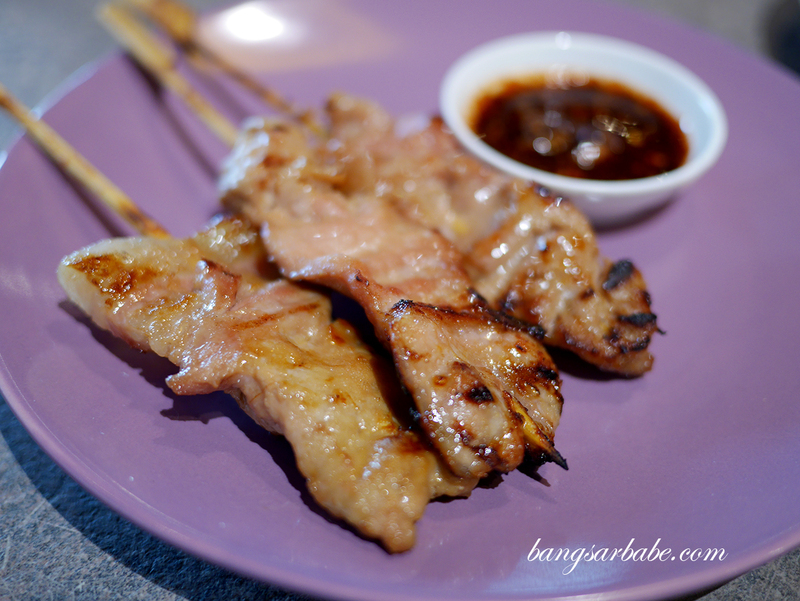 I wasn’t as excited about the pork skewers (RM9.90 for three sticks) as they weren’t as juicy as I liked them to be. A bit more fat and char would have been better, I feel. 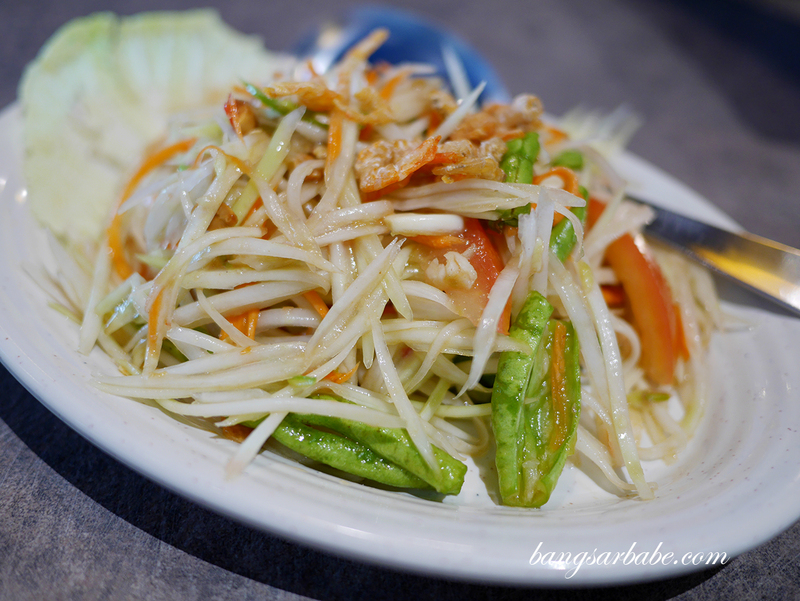 Little Thai Kitchen’s green papaya salad (RM6.90) was refreshing and of a generous portion, though I thought they would have done with a bit more tang and sweetness. This was decent but somehow lacking that robustness that Thai salads are known for. 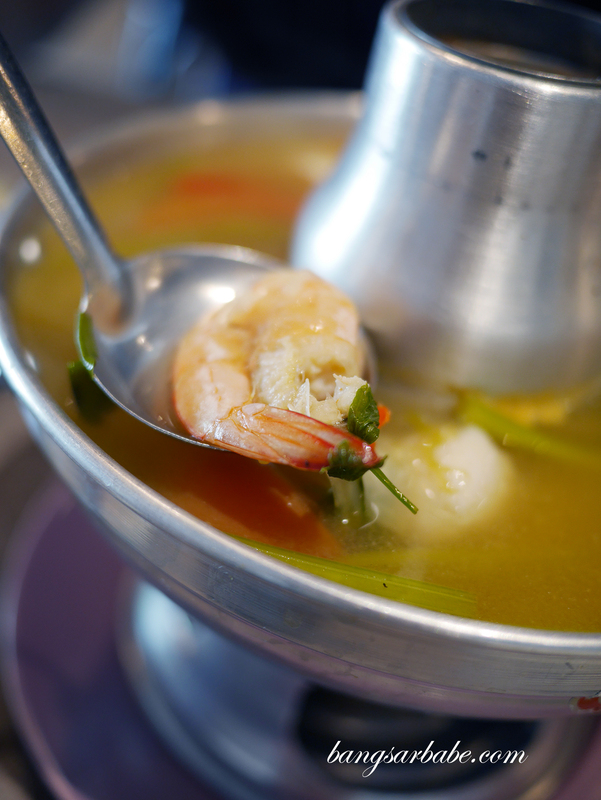 Tom Yum Ta Lay (RM13.90) was a generous serve of clear tomyum broth and seafood, which gave it a sweet and subtly rich flavour. Though I’m generally a fan of red and cream based soups, I thought this one was decent. Green curry varies as we move from different places around Thailand, and I always liked the version from central Thailand better. 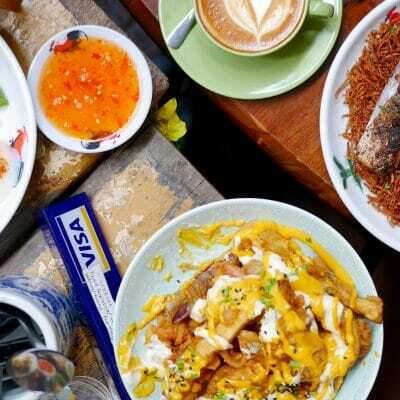 There’s a better balance between richness, aroma and spiciness. 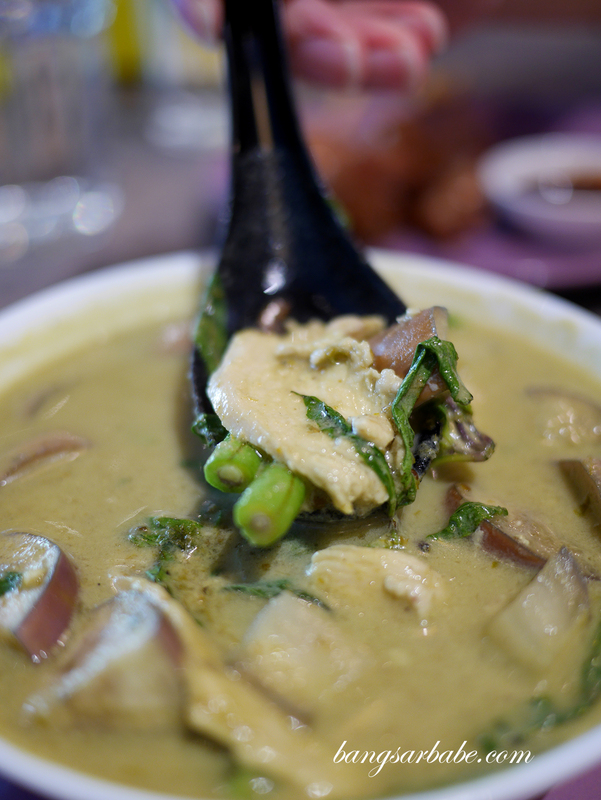 Little Thai Kitchen’s green curry chicken (RM13.90) was adequately thick but lacked spice and aroma. 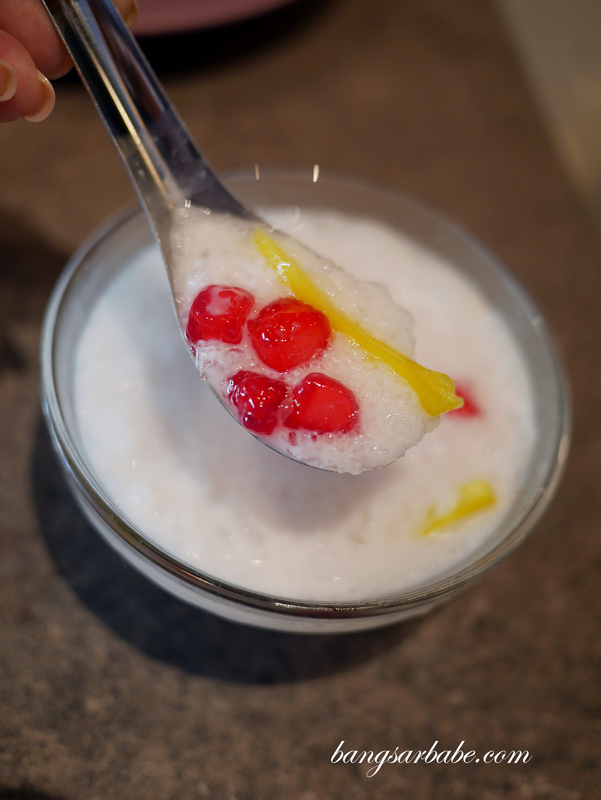 Dessert was the red ruby (tub tim krob), a refreshing treat given how our weather can get quite crazy sometimes. It was a sauna that afternoon so this was much needed. I thought it could use more coconut milk and syrup, as this was slightly bland. Overall, a few hits and misses but not too bad an experience. Affordable prices too. 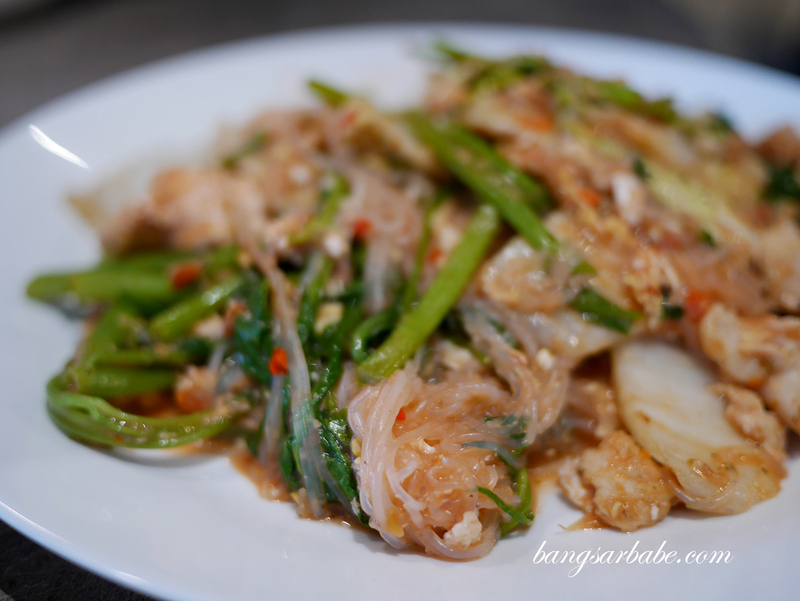 Verdict: Try the Phad Suki Hang if you’re game for something different.